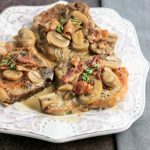 These tasty Instant Pot Keto Smothered Pork Chops are gluten-free, low carb, paleo, and have a whole30 (dairy free) option. 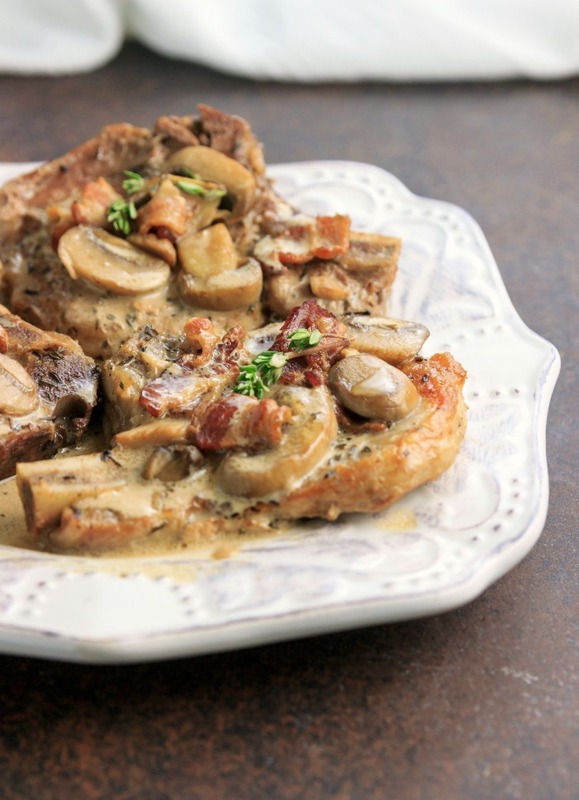 Savory seared pork chops smothered in a creamy sauce with bacon, garlic, and mushrooms. 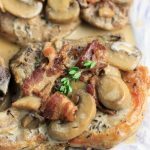 Succulent and flavor-rich, these Instant Pot Keto Smothered Pork Chops are low in carbs, paleo and have a whole30 option as well. 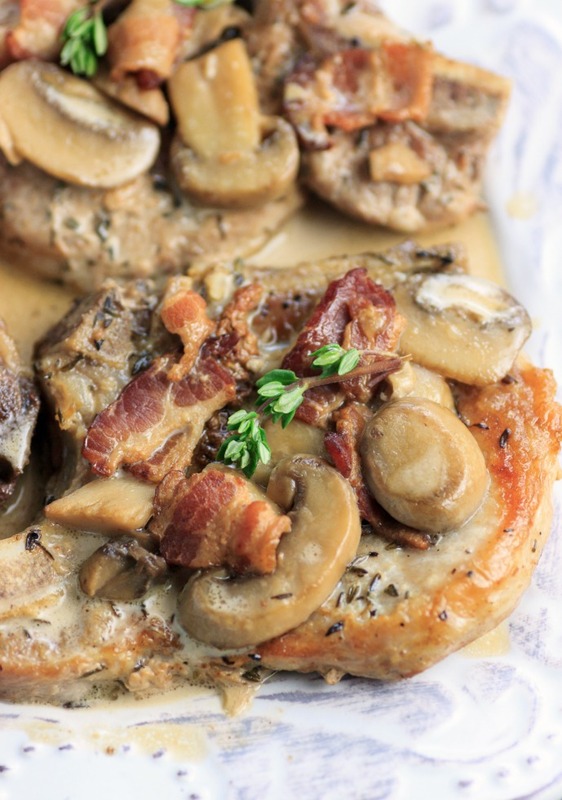 Tender pork chops seared and cooked in the Instant Pot® with a delicious bacon mushroom cream sauce. My teenage son actually ate 3 of this pork chops! I still can’t get over how much a skinny teenage boy can eat, but he had missed lunch that day and was apparently starving, lol. My hubby was very sad that there was only one chop left by the time he came home from work, but honestly, my son thought he was being generous not eating the last one, lol. 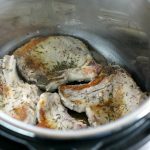 It is easy to make amazing smothered pork chops in the Instant Pot®! Searing meat, making the sauce and pressure cooking the whole meal in one muti-functioning appliance, means fewer dishes to wash, yay! Press Saute and add the avocado oil or olive oil to the inner pot. Heat until the pot shows “hot” on the screen. Sear the pork chops on both sides for 2 to 3 minutes to just brown the sides in the inner pot. Remove the pork chops from the pot and set aside on a plate. While still hot add the chopped bacon, minced garlic, and sliced mushrooms to the pot and saute for about 3 to 4 minutes until garlic has softened and bacon is browning. Add the beef broth to the pot and scrape the bottom of the pot to deglaze. Stir in the onion powder and garlic powder. Press “Cancel” to turn off saute mode. Add pork chops back to the pot. Secure and lock the lid. Turn the pressure release handle to Sealing. Select Pressure Cook on High Pressure (Normal) and set the timer for 10 minutes for bone-in chops or 7 minutes for boneless chops by pressing the + or – buttons. *Check the chart below for Instant Pot cooking times and more options*. Once cooking time is done, let the pressure Naturally Release for 10 minutes (don’t touch anything for 10 minutes), then Quick Release the remaining pressure (carefully while keeping face away from steam and hands in protective oven mitts, turn steam release handle to Venting). Once all steam has released (the pin on the lid will drop and the lid will unlock), open the lid and remove only the pork chops, plate & cover to keep warm. 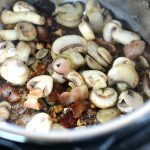 Leave the mushrooms bacon and sauce in the pot and select Saute and heat until bubbling. garnish with fresh thyme leaves or fresh parsley. Nutritional Data: Yield: 4 servings, Serving Size: 1 Pork Chop (5.2 ounces), Amounts per Serving: Cal: 452, Carbs: 2g, Net Carbs: 2g, Fiber: 0g, Fat: 34g, Saturated Fat: 11g, Protein: 33g, Sugars: 1g, Sodium: 422mg. While still hot add the chopped bacon, minced garlic, and sliced mushrooms to the pot and saute for about 3 to 4 minutes until the garlic has softened and bacon is browning. Select Pressure Cook on High Pressure (normal) and set the timer for 10 minutes for bone-in chops or 7 minutes for boneless chops by pressing the + or - buttons. *Check the chart above for Instant Pot cooking times and more options*. So glad I found this recipe. Pork chops came out tender and the flavor was so good. Will be making these again!!!!! Thank you so much, Janis, for trying the recipe & your kind words. This was the first recipe that I used to try out my new Instapot and it was a HUGE hit!! One of my littles said it was like we were eating at a restaurant, then he gave me a hug and told me this was the best dinner. My other little gave me a fist bump and said this was his favorite meal ever. And my hubby said it was delicious!! So thank you! And…. Thank you for the video, and the step by step directions with pictures! It was only becuase of those details that I was brave enough to use my instapot! We will make this again, for sure! 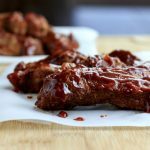 I use Uncured Black Forest Applewood Smoked Bacon and it really gives this recipe an added layer of depth. Soooo good! Thank you! Thank you so much for trying the recipe, Cheryl and your kind words. 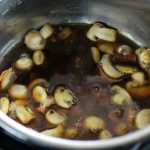 This was my very first Instant Pot recipe, and we loved them. I did find the sauce to be a bit runny, so I thickened it with arrowroot. Otherwise, it was really very tasty. can I use bone in pork chops? Yes, you can use bone-in chops, Ann. 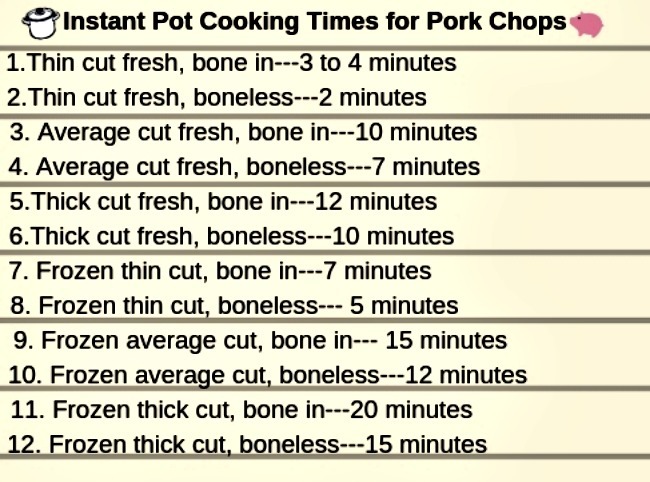 I have a cooking time chart in the post that shows suggested times for the bone-in chops. Since it was a huge hit I’ve made this recipe twice this week! They were so good both times! My granddaughter said it accurately when she said “these are bomb.com”. I did cheat a little & thickened the sauce with a little cornstarch. So good!!! Thank you so much, Linds, for trying the recipe and your kind words! Your granddaughter sounds adorable! This recipe was the first I made in my insta pot. Everyone loves it! I would like to make it again but with chicken breast. Can you give me directions on how I would prepare the chicken in the IP? Hi! I made this tonight on my first try an IP! Once i placed everything back into the pot for pressure cooking time, i selected the “meat/stew, option. It forced a time of 35 on there. I could never adjust it to 7 or 9 minutes. I wasnt sure what to do. Looks tasty but scared to eat it. Any suggestions? Hi Sara, I use the “pressure cook” or “manual button” on some models for that recipe, not the meat stew as it has a preprogrammed (not adjustable time) for stewing meats. I think it will be eatable but might be very overcooked done at that cooking time. Looking forward to trying this. A friendly suggestion from a reader, though: I would prefer the printable recipe card not have pictures in it. I tried it and it would be 3 pages printed out and very costly to waste printer ink on pictures when you just need the recipe. Your pictures are beautiful, and I enjoy them in the blog post, but I don’t need to print them out. Thank you. Thanks for letting me know. I will see if there is a way to have them be on the card be not in the print version. Ps: I found a way to have instruction photos show on the card, but not show up in the print version. I know what you mean, my printer goes through ink so quickly and the cartridges are so pricey! This was my first meal tonight in my new IP. So Delicious!! I’m so happy. Your step by step instructions were so very helpful!! I was a bit intimidated with the IP, now i kind of feel like I know what I’m doing now. Thank You! I have not made Pork Chops in a few years. The picture and mushrooms and bacon gravy over Pork. I had to try! Huge hit with my family of 4. They all loved it! So happy with ease of directions and on Keto as well. I also love that you use dairy free tips/options. 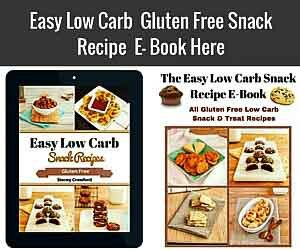 Gluten free recipes as well. 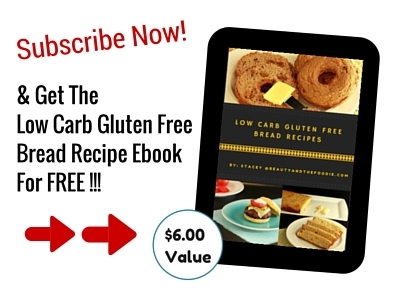 I had to purchase your EBook! Can’t wait to try a new recipe again tonight! So glad I stumbled upon this recipe. Hi, I don’t have an insta pot. How would I adjust recipe to make in oven or on stovetop? Thank you! Same here. Looking for crock pot instructions on this. Thanks! Must be endorsing InstaPot. Have any of you made them in the crockpot? You can make them on the stovetop, but I have not tried the slow cooker. I was so excited about this recipe but my pork chops were super dry. I had it on pressure cook more which I think is the high setting and they were bone in and thick. I wonder if I do it at the normal setting for 8 min if they would be juicy. The flavor was great besides that so I’m definitely trying again! Hi Megan, the setting is at High Pressure on the “NORMAL” setting, not the “More” setting. 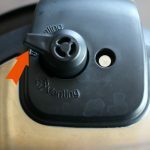 If you press the Pressure cook button or Manual button (depending on which model you have) only once it should go to pressure cook “normal” and adjust the pressure level button to high. I know the setting buttons can take some getting used to, as there are almost too many options. I made tonight, was very good! Only my sauce didn’t thicken much. Would like it thicker, what to add? Corn starch or xanthum gum? I did add 2 tsp of Xantham gum after the bubbling of broth and cream to thicken a bit more and it turned out very good. Gravy consistentsy and texture. I had extra and used the gravy again last night for a different meal cause it was so tasty. Recipe was a great hit in my house. Feeling like more Chops very soon! I’m looking forward to making this recipe this week but I have a question about cooking garlic until it’s translucent, how does one do that? I’ve cooked onions until they were translucent but not garlic. Karen, I meant to write “softened”, not translucent. I fixed it. Hi Stacey, Made your recipe tonight and it is tasty! Wonder if the broth would thicken with a longer simmer at the final step? Will make again. Thank you! Yes, I’m thinking if you simmer it longer it may reduce and thicken the sauce. Could I use milk and cream cheese instead of heavy cream for this? Sarah, I think that would work. Has anyone ever mentioned trying these In a crockpot and if so how long they cooked and how it turned out? haven’t splurged on an instant pot yet but I’m dying to try this delicious looking recipe!! I have made this dish in a crockpot and it turned out just fine. Brown chops and cook bacon and others on stove top and cooked on low for 6-8 hrs. Please tell me how to convert this recipe to a regular crockpot. It looks really yummy. I don’t know about the slow cooker, but I think it would work on the stovetop in a skillet. What would go good as sides? You could serve with steamed Brussel sprouts or asparagus. I got an instapot for Christmas! Yay! Can this recipe be doubled/tripled and cooked all at once? Or would I have to do it in steps? Hi Amber, yay, great gift! It can but you would need to only double only the ingredients that are not liquid. the liquid amount would be the same. You would have to also sear the pork chops 3 at a time depending on size of chops and the IP size. Love your recipe and the clear instructions. Can’t wait to try, thank you! However, I am unsure whether to purchase a 6qt or 7qt Instant Pot. What size did you use here? 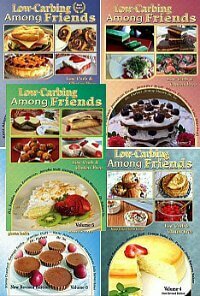 Do you find it the best size for most recipes? Hi Bambi, thank you so very much for your kind words. I use a 6 quart IP for a family of 4. I think 6 quart is the average size, but I have seen 8 quarts for larger quantities, and a small 3 quart for dips and appetizers. Most people recommend the 6 quart model for average usage. Thank you so much for your advice. Can’t wait to get started. I plan to try this recipe first! My family was most impressed with Mom’s cooking tonight! Thanks so much for this recipe! Awe, thank you, Donna, for your kind words. Happy that your family enjoyed them. This looks soooo good! Just started keto and came across this recipe. Anyway I could make this in the crockpot or in oven? You could make this on the stovetop & oven. You are dangerous with this recipe and pictures. 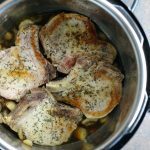 I have not had pork in almost 10 years and these pictures are making me want to eat it 🙂 however, my husband loves porkchop so I have a way to get my urge out by making this recipe for him. Great dinner idea for tonight!!! I’m sorry, Mirlene, I was not trying to tempt you. Are you Kosher or vegetarian? 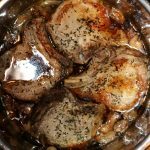 These pork chops are just loaded with all the most delicious things, and I love that they’re made in the Instant Pot as well! Ooooh, delicious… you had me at bacon! I like the thyme and other seasonings in it too. Very flavorful. I love all of the ingredients and flavor in this recipe. I have a new instapot, and I’m adding this recipe to my list of ones to try. Anya, you are so right, lol! I’ve never made pork chops! But it looks pretty darn easy in the instant pot . . . and those mushrooms, yum! LOVE this recipe.. Confess, I’ve made similar on top of stove.. and oven..
My Ipot and I are excited about this recipe!! Looks delicious + decadent + easy! Thanks for the step by step pics!!! Thank you, Carol, I’ve made this on the stovetop before, but decided to try it in the IP! Love all of the flavors in here. And love that I can throw this in the Instant Pot. Must make! Looks fantastic! 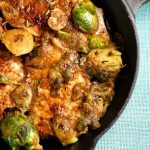 Great weeknight meal for my winter meal plan! 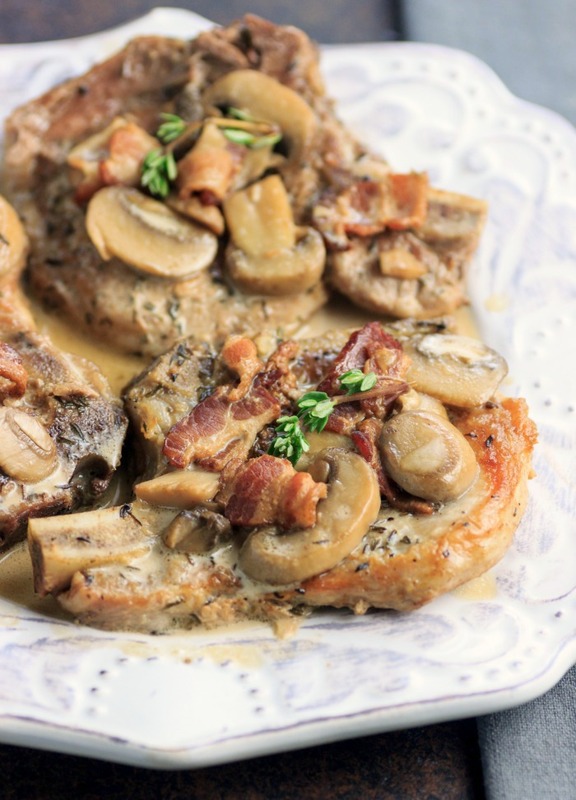 I absolutely love pork chops and these look amazing! All the flavors in the recipe sound divine. This looks mouthwatering!! 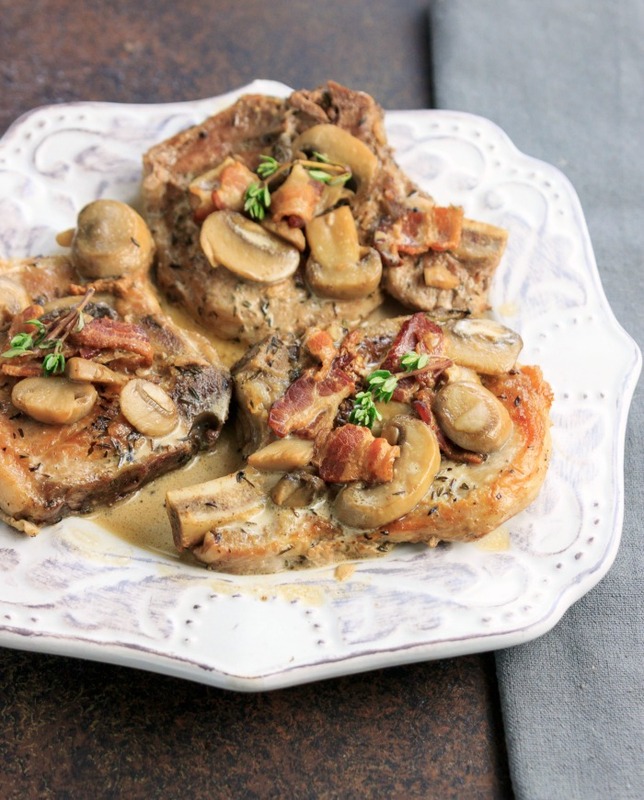 Some may say it’s all about the pork, but for me it’s all about these creamy mushrooms! I have pinned so I can make it later! Thank you so much, Joni. That creamy deliciousness and all of those beautiful mushrooms plus bacon. SO good! 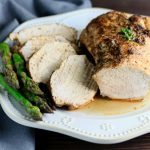 Pork chops is my husband’s favorite, and we love using the IP, so this one is a hit! Made this tonight and I must say it was delicious. My whole family enjoyed it. 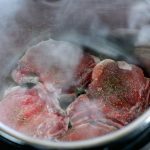 If doubling the recipe do I need to adjust the cook time in the instant pot? Hi Chrissy, doubling a recipe doesn’t require changing the cooking time. The cooking times are more dependent on the density and thickness of the ingredients (pork chops) rather than the weight. Bacon… mushrooms… how could you not love this? 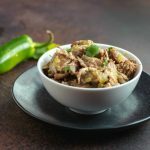 It looks delicious, and I love that it’s made in the Instant Pot! Beautiful recipe! I appreciate your step-to-step picture instructions. SO helpful! These were super delicious and very easy to make. Thank you for the step-by-step pics as well! Thank you so much, Irena, for trying the recipe and your kind words. YUM YUM YUM! that mushroom bacon sauce has me drooling!! My husband is going to love this! On the menu for this weekend. It was perfect for my super carnivore hubby, lol. oh WOW ! That looks so rich, creamy, and umami delicious!! What a lovely hearty meal for the holiday season. 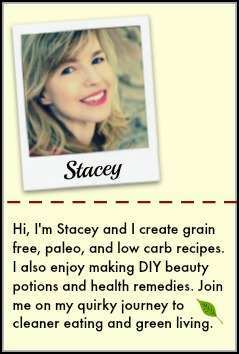 You had me at mushrooms and bacon Stacey- yum! These look dreamy!! I am so going to make this soon, going on the menu! These look crazy good! I’m pinning to make soon for sure. These look so good! I haven’t tried pork chops in the IP but definitely need to! Yum!